A social platform and ride tools for the motorcycle traveler. The 30K makes communication a breeze thanks to adaptive-mesh technology that reconnects with lost riders automatically once they are back in range. I've had a Sena 20S for about two years now. My experience with it has been a bit mixed. The audio-multitasking has never worked perfectly, although it works a bit better if you flip the antenna up and have the latest firmware installed. One of the big annoyances, not specific to the 20S but Senas in general, is the lack of per-person volume control when in group intercom. There have been groups were some people sound like they're shouting and others are so quiet we can barely hear them. What prompted this post was that I just completed a 2k+ mile solo trip out to Minneapolis and back to DC. The Sena worked great for most of that trip, even though a few heavy downpours. Then, on the last night of my trip, I camped out with some motorcycle buddies and left the helmet out overnight. I think the dew must have gotten to it because that morning it started acting up. At first it wouldn't connect properly and the intercom didn't always work correctly. It seemed to improve during the ride back, but it still wasn't 100% back to normal. A week later, I left on my second trip of the summer, a shorter ride down to the Smoky Mountains to see the Totality with my girlfriend on the back. I hadn't ridden the bike or used my helmet at all in the gap between the two trips, but I did throw the Sena on the charger to make sure the battery was good to go. I discovered the day we were leaving that my 20S was essentially non-functional. It turned on, and paired to my phones, but I heard no audio at all from it, and it didn't respond to any button presses other than to shut off again. It could not pair to other units, or even go into pairing mode. When I turn it on, it flashes blue, then 1 to 3 flashes of red, then nothing. Also, my phones show that it is paired, but the Sena app is unable to connect to it. Given my previous experience, I figured it might clear up, but after the first half-day ride on Saturday I realized it was a lost cause. The next day, I found the one motorcycle gear shop on our route that was open on a Sunday, but they had none in stock. So we rode the whole way down to Tennessee in silence. Yesterday, I picked up a new 20S from the Cycle Gear in Knoxville, and as soon as it was charged I put it on my helmet and I was back in business. It worked (as well as a 20S has ever worked) for the short rides we did yesterday. So at least we'll have intercom and turn-by-turn voice instructions for the ride back. The first 20S lasted me about 12k miles over the two years I had it. We'll see if the second one can match or even exceed that. Maybe I had become a bit over-confident in the weather-sealing of the 20S, or maybe that's just their life expectancy. But considering they cost $300 a pop I would have liked to get more miles/years out it. I will probably try to baby the new one a little more just in case. And when I get home I will do a tear-down on the broken one to see if I can figure out exactly what went wrong. We'll be riding back on Thursday (tomorrow). If you're in the market for a communicator to add on to your helmet, the Sena units are a pretty good option. But which one to pick? SMH-10 vs SMH-10R vs 20s I started out with an SMH-10, which served me well. It does what it says on the box with few problems. It takes a bit of practice to figure out how to get everyone paired up, but usually there's no need to mess with it again after everyone's paired and the units reconnect automatically. The couple of pain points I had with the SMH-10 were: 1. I kept hitting the jog-dial accidentally with my shoulder when getting on/off the bike. 2. Sometimes you'd have to jostle the unit a bit in the mount to get all the pins to make contact. But really, no big deal. When I purchased a new helmet I took the opportunity to upgrade to the 20S. I'd say that so far I haven't really found it to be worth the difference in price. There are only pros, versus the SMH-10, but the're not huge ones. 1. I less frequently the jog dial by mistake, but it's still possible. 2. I haven't had problems once it's in the mount, though it is a bit trickier to get the unit mounted while your helmet is on. 3. Noticeably better battery life is nice. 4. The built-in FM radio is a nice convenience, but not essential. The "meh" of the 20S: 1. Supposedly you can overlay two audio sources at once, I've found this to be either useless or unnecessary in most situations. 2. It supports paring with up to 8 people, but you'll apparently suffer a loss of quality if you enable that. I don't ride with that large a group, so it stays off. 3. Supposedly the range has been doubled, but I never had a problem with the range of the SMH-10. 4. The voice control is iffy, and the button on the bottom of the mount is hard to hit with gloves on (tapping on the unit is supposed to also work, but rarely does.) So basically the advantages to me are longer battery life and I don't hit the jog dial as much. An improvement, but not worth the difference in price. It seemed like the app might offer more control/customization of the unit through a better interface than the two buttons plus jog dial could offer, but mostly I just ended up using it to review the documentation for obscure features like trying to join a phone call into the group intercom. Perhaps the app will be improved in the future with more features. Sena appears to release firmware updates regularly. When I upgraded to the 20S I passed down my SMH-10 to a friend I ride with frequently. He has subsequently also purchased an SMH-10R for his other helmet. 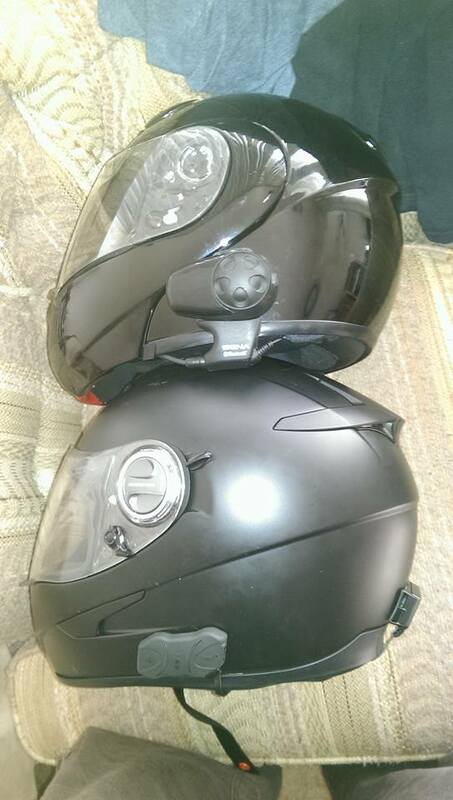 He recently posted this review: "I felt the need to upgrade and get a second sena comm unit for my fleet of helmets. I got the smh10r off Craig's List for a reasonable price. First impression, this is a permanent attachment and not transferable like the smh10. Lots of cables to hide and a remote battery pack to mount on the exterior of the helmet. Honestly, I would rather had another smh10 to clip in rather than a second battery for this slim line model.Pros: it's slim as hell, but not too small to be a pain to use. Also, no fear of knocking it off mid corner.Cons: wiring nightmare. Attaches with lots of double stick tape. My smh10 had a clamp on mount and a boom mic, it was pretty easy to swap from one helmet to another. The smh10R.... I'm not moving any time soon." Sena SMH-10 vs SHM-10R(https://miles-by-motorcycle.com/136/photos/506/untitled/11177/sena-smh-10-vs-shm-10r) My cousin also picked up the SMH-10R and had a similar experience with "wiring hell". However, it otherwise seems to perform just as well as the SMH-10. On our first ride we inexplicably had an issue where it kept going in and out of intercom on its own, but after about 15 minutes the problem went away and has never resurfaced. Also worth noting is that with the SMH-10 or 20S you can remove the unit from the mount and charge it on your desk. However, the SMH-10R doesn't detach easily for charging. All in all, I think the SMH-10 is still the best bang for your buck. 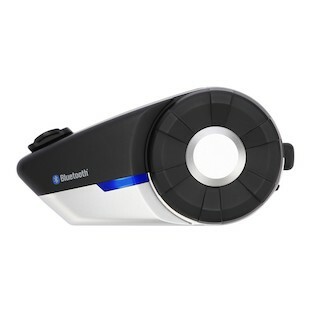 The SMH-10R is about the same price, but you have some trade-offs for the slimmer profile. It seems like not being able to remove the battery and charge it separately from the rest of the helmet is a design flaw. Purchase the Sena SMH-10 Helmet Clamp Kit - Boom Microphone at RevZilla Motorsports. Get the best free shipping & exchange deal anywhere, no restock fees and the lowest prices -- guaranteed. Purchase the Sena 20S Bluetooth Headset at RevZilla Motorsports. Get the best free shipping & exchange deal anywhere, no restock fees and the lowest prices -- guaranteed. 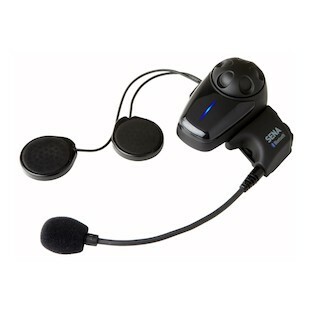 Purchase the Sena SMH-10 Bluetooth Headset Dual Pack at RevZilla Motorsports. Get the best free shipping & exchange deal anywhere, no restock fees and the lowest prices -- guaranteed. 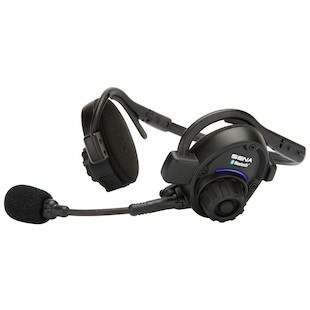 Purchase the Sena SPH10 Bluetooth Helmetless Headset Intercom at RevZilla Motorsports. Get the best free shipping & exchange deal anywhere, no restock fees and the lowest prices -- guaranteed. 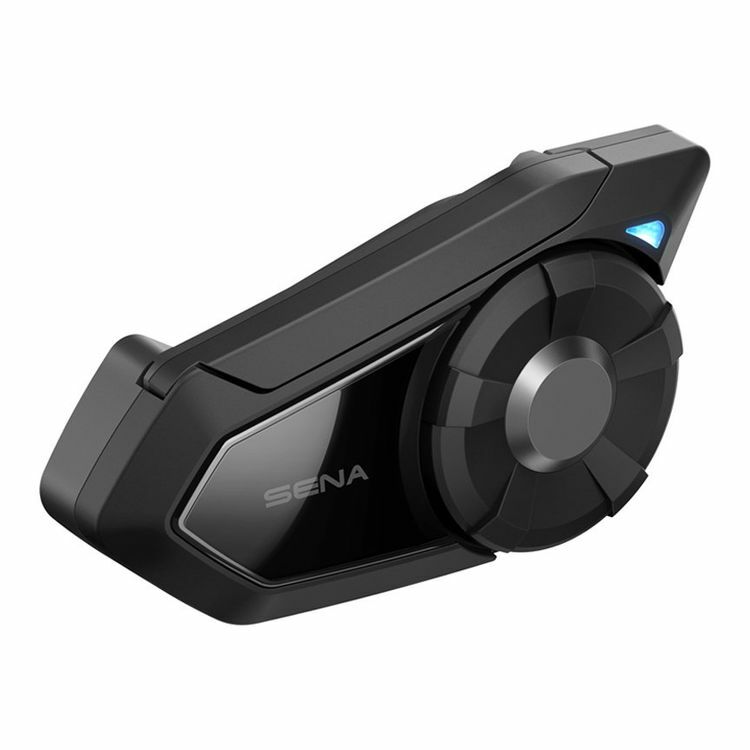 Purchase the Sena SMH-10 Bluetooth Headset at RevZilla Motorsports. Get the best free shipping & exchange deal anywhere, no restock fees and the lowest prices -- guaranteed. Many of us have acquired the Sena SMH10 Communicator. These things rock. Sena SMH-10 Bluetooth Headset - RevZilla(https://miles-by-motorcycle.com/136/links/9937/sena-smh-10-bluetooth-headset---revzilla) However, they do have a learning curve and issues do arise. This thread is intended as a central place to discuss problems, solutions and share insights about these gadgets.